Ten years passed and I never ate a piece of Helen’s famous blueberry pie. Helen died and I lost my chance, but it didn’t bother me because I still didn’t like blueberry pie. My husband, who at the time was my boyfriend, invited me over to his house for dinner and I accepted. We had a lovely dinner and everything was delicious but then came dessert. I could have died. This was the first time I’d eaten at their house and my parents always told me when you go to someone’s house you eat what they give you whether you like it or not and always be polite and tell them how good it was. His mother set the piece of pie before me and I garnered my courage and took a bite. To my surprise, I loved it! It was delicious. Imagine that, it looked terrible but tasted oh so good. To this day blueberry pie is my favorite and my father still reminds me of all of Helen’s pies I missed. Are you missing one of God’s blessings because it just doesn’t look good? Do you have your eyes on one job while another is being offered? Sometimes we get our minds made up that something would not be good for us, but we forget to ask God if He thinks it is good for us. Debbie Lynne Costello lives in the beautiful state of South Carolina with her high school sweetheart and two youngest sons. Her oldest son is in the Navy and her daughter is about to make her grandma. She’s raised Shetland Sheepdogs aka shelties for over 15 years and has two of the furry little things. In addition to her two shelties she has one cat, and one Arabian horse. Camping in their fifth wheel at Hunting Island is her idea of a perfect vacation. 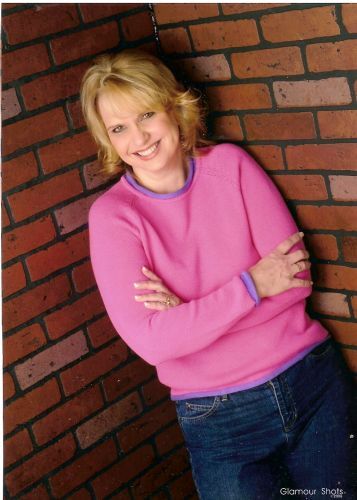 Debbie Lynne has loved to write since she can remember. She started taking writing seriously two and half years ago and since has written and finished two manuscripts and started her third. She’s thankful for a God who loves us so much that He wants to have a personal relationship with each of His children. What a great story! 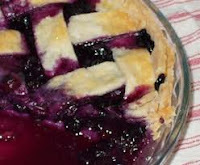 My grandmother in PA used to make huckleberry pie which are a type of wild blueberries. That's one I definitely don't get any more. But I have to admit I never met a pie I didn't like. But the truth behind your cute story is so, well, true! We often judge something by sight and later find out what we're missing. A meal, a book, a person. My granddaughter judges a lot of stuff by sight,food mostly, and proclaims she doesn't like it. But she's still young enough that she doesn't judge people. So I guess that starts later in life. Thank you for sharing this story and reminding us of this truth. Sometimes it is difficult for us to see what God has for us because we have a preconceived idea of what it should be. I fought with this a couple of years ago concerning a teaching position. I am thankful God worked in my life to help me see past the "black" and discover the "delicious". Debbie Lynne, I can so relate to this. It's an easy-to-understand, but difficult-to-practice concept! Great post -- the truth you shared challenged me. I do miss out on things because I'm not open to God. That said, I really *don't* like blueberry pie. I like every other conceivable berry -- a lot -- but I can only handle blueberries if they're fresh or baked into muffins. I think it has something to do with the sweetness of pie filling. Or I've just never tried the right blueberry pie. I loved this post. I'm a big fan of anything blueberry so now you have me craving pie! Thank you also for giving me something to reflect on today. I know I have to remember that when I avoid something out of fear I'm not focusing on what God wants of me. Thank you for visiting with us today, Debbie. Great post. Over-looking the blessings is so easy to do; looking beyond what we see to find those blessings isn't always so easy. Thank you for opening my eyes to seeing I need to work a little harder at this. Great spiritual tie in. I'll need to read this to my eight year old who often turns down food based on looks. Debbie, I chuckled through your post. I've told my boys on many occasions, "Someday, you're going to try this, and then you'll spend the rest of your life regretting all the times you had the opportunity to eat it and didn't." Thanks for reminding me to think beyond food when I make that statement. The same thing happened to Dina the first time she tasted Humus. I shoved a huge chunk of humus in her mouth saying "taste it honey it is great." She stayed away from eating Humus for years. Today I call Dina the Humus Master because she perfected making it and we all enjoy eating it. Thank you for this beautiful post, it is a good reminder for me to stay open and balanced. Debra,I love huckleberry pie! There is nothing better than a fresh berry pie in my opinion. Christine and Lisa, I agree this is a hard thing that I think most of us have to deal with at some period in our lives. LOL I think some more than others. I know I still catch myself doing it both spiritually and food wise. Susanne, you haven't had my blueberry pie. Can't come from a can has to be fresh or frozen. 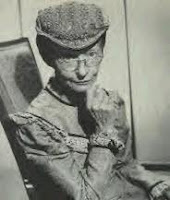 Hmmm Mary, now you have me thinking I need to back a blueberry pie tomorrow. You know Suzie, it's just so easy to do as humans. We know what we like or want so we aren't always open to what God has for us. Profound, Debbie Lynne. I limit myself by what I crave instead of partaking of the variety prepared for me. I need to taste and see that the Lord is good. DL, this is lovely. Ties in with what I've been working onlately--taking risks. As humans, we tend to be risk averse, and that's not what God wants us to be. But how in the world could a lady from Michigan not ever eat blueberry pie. I think it was probably in the first solid foods I got. When my mom lived in the country, she used to go pick the wild ones by the bushel and make pies and jellies and syrups. Cravings seem to take first place with me too Kathy. Laurie Alice, I guess I'd have to chalk that up to having a closed mind when I grew up.